What happens when you mix an acid (vinegar) and a base (baking soda) together? We predict when mixing vinegar and baking soda together it will make a balloon expand. We think this because when you mix a base and an acid together it creates co2 which will make the balloon expand. We recommend wearing gloves during the experiment. ﻿We also learned that after about an hour and a half the balloon will start to deflate. We learned that using different types of vinegar did not make a difference in the size of the balloon. We think it is because the different vinegars had the same amount of acidity. We also learned that using more baking soda makes the balloon expand more. Each bottle had a different type of vinegar - apple cider, red wine, and white. Each type of vinegar had 5% acidity. As you can see, the type of vinegar did not make a difference because they have the same amount of acidity. Each bottle had a different amount of baking soda - 1 teaspoon, ½ teaspoon, and ¼ teaspoon. As you can see, adding more baking soda created a bigger reaction. The bottle with the most baking soda made the biggest balloon. 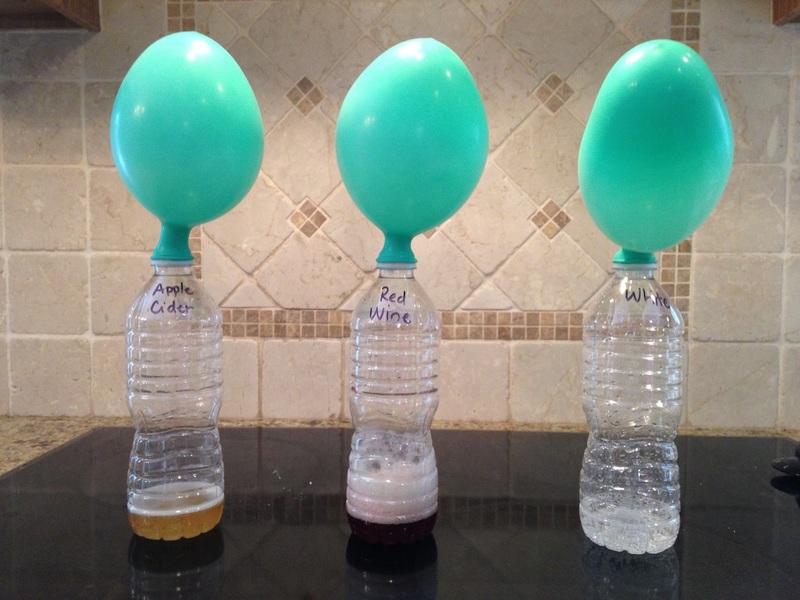 Mixing a base(baking soda)with an acid (vinegar) creates co2 which is trying to escape the bottle but the balloon catches it and that makes the balloon expand. When we mixed baking soda with vinegar the balloon expanded. Therefore our hypothesis was proven correct. Hi,my name is Abby. 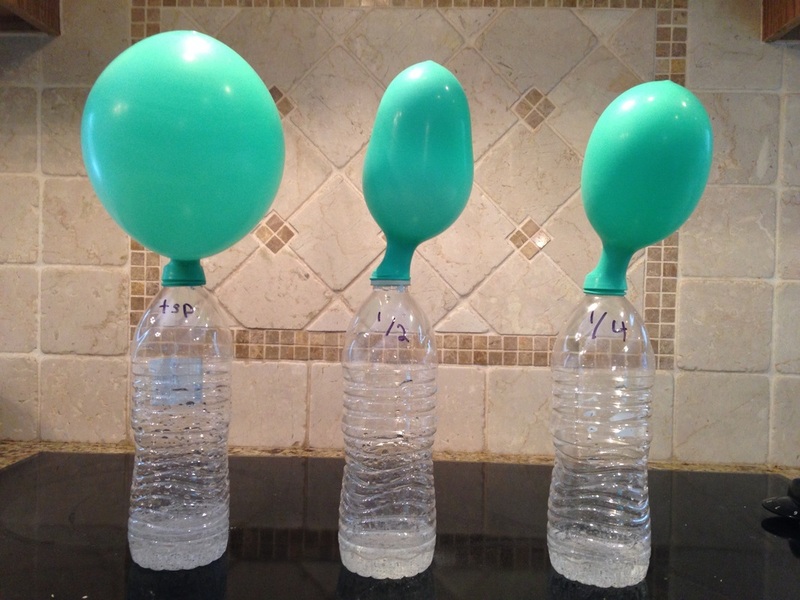 I picked this project because I saw someone else do it and i thought it was cool that the co2 made the balloon blow up. Hi,my name is Juliana and I picked this project because it is fun to see the balloon expand.